Essie School of Hard Rocks and Essie Very Structured - Polish Etc. I picked up three Essie colors in the sale bin at my local Walgreens, Very Structured, School of Hard Rocks, and Bangle Jangle (a light dusty purple yet to be swatched). School of Hard Rocks is a dusty light teal creme. 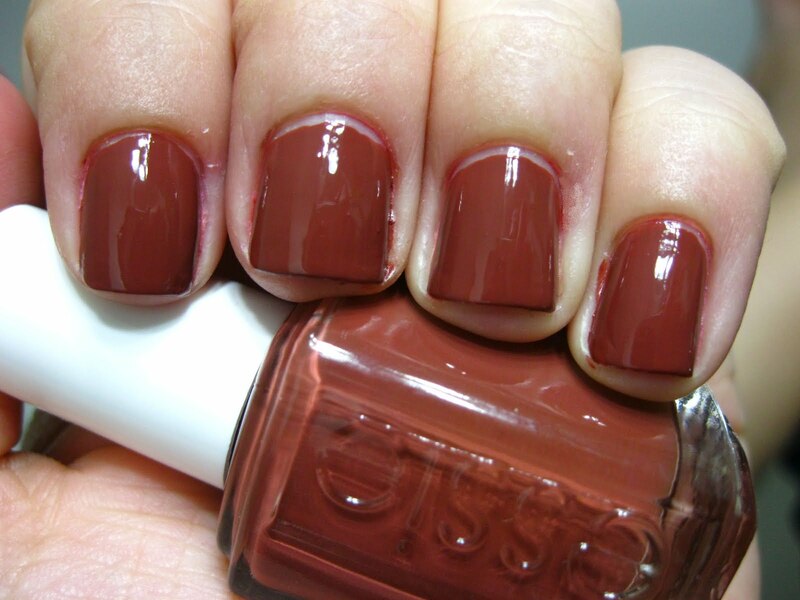 It dries a little bit darker than the bottle, and is nice and dense (This quick swatch is with just one coat and no base coat). Essie describes the color as "a midnight malachite" although I find the color slightly more blue than true malachite. 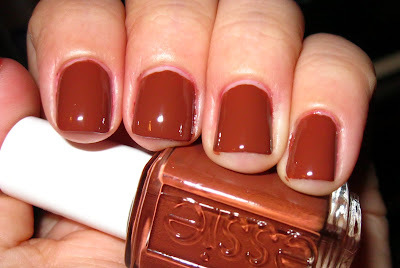 Essie Very Structured is a medium rusty brown creme. In the store it looked more red than brown, although I was still quite happy with the color when I got home. Essie describes this color as "a classic burnt sienna". Great application, two coats, no top coat in the photos.